“The one thing that I found surprising about Taiwan – because I haven't been to Asia much – is that I thought it would be a lot like Cambodia, but we are talking about sophisticated, first-world cities,” said Leach, who said Taipei reminded him of Toronto. The coach describes his preference for "expedition travel, where you learn as much as you can as fast as you can." He's recently done that in Cambodia and Croatia, among other places. Washington State football coach Mike Leach isn’t sure how many countries he has visited. He added Cambodia, Taiwan, Croatia and Portugal after spring football this year, but he’s never actually made a list. “No, I need to do that some time,” he said. One thing is certain, traveling is something he loves to do. It suits his curiosity, his passion for history and a desire to learn new things. 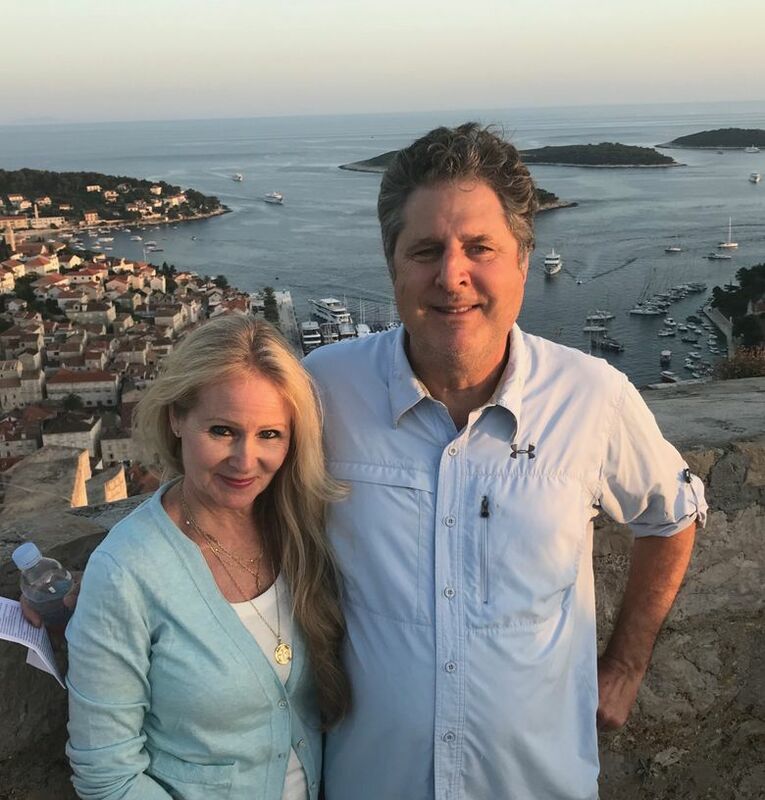 The two-week trip to Croatia, in which several couples rented a boat and sailed through the small islands off the Croatian coast, was several years in the making. The eight-day trip to Cambodia and four-day trip to Taiwan was an opportunity that came up, and he joined three state legislators on that excursion. “Boom, I have the opportunity to go; I can’t pass this up,” he said. Leach said the journey to Portugal was short, with quick visits to the Algarve, a popular beach destination on the southern coast, and to the capital, Lisbon. Leach got a taste of a decompression vacation when he stayed in a treehouse on an island off the coastal town of Sihanoukville, but two of his biggest highlights from Cambodia were the Angkor temples and the floating villages in Tonle Sap, the largest lake in Southeast Asia. Leach said the legislators were trying to generate business for the state of Washington, and being with them gave Leach a chance to meet the Cambodian prime minister. “That was impressive, and, of course, I talked about education in the state of Washington and the opportunities there, and some of the success our exchange students have had,” Leach said. In Taiwan, Leach met with many Washington State graduates (“so that was pretty awesome, and we want even more to come”), and discovered a country much different from the third-world Cambodia. Perhaps two of the most popular artifacts at the museum are the Meat-shaped Stone, which looks like a piece of pork, and the Jadeite cabbage, which is a carving of bok choy. Leach was fascinated that those items were so popular compared with the other artwork he was seeing. “It’s kind of funny because every couple knew somebody else, but nobody knew everybody,” he said. “We rented a boat, and we sailed through all those islands off Croatia. We went to Split, Dubrovnik and a bunch of those little islands (there are more than 1,200 Croatian islands.). “I think the highlight might have been (walled city) of Dubrovnik,” said Leach, who marveled at the Venetian influence on the Croatian islands. Leach wished he had longer in Portugal. “We didn’t have a lot of time and didn’t get to check out the whole country, and what we did check out was at a pretty quick rate,” he said. Leach said one great thing about the Cambodia and Taiwan trip was the local people who helped out the Washington delegation. “Not only do they help you with where to go – ‘Hey, check this out’ — but you also get to see the country in the eyes of the people, people who live there, and that’s the best,” he said. Leach coached for a season in Finland in 1989. In recent years, he has made trips to Italy, France and England for clinics and camps. The living conditions when he travels aren’t opulent, but that isn’t important to Leach. Leach traveled a bit more this year “because I’ve had kids every year in the house until this year – this is the empty-nest dress rehearsal.” Even so, he can never quite get away from football, not with his phone with him. He loves coaching football, but the one thing that might eventually get him thinking about retirement is travel.